The fund will allow accredited investors to invest in a basket of cryptocurrencies listed on GDAX, Coinbase’s exchange. The index fund wouldn’t be the first one to hit the market. Bitwise Asset Management, for instance, operates a crypto index fund, holding ten cryptocurrencies weighted by market capitalisation. 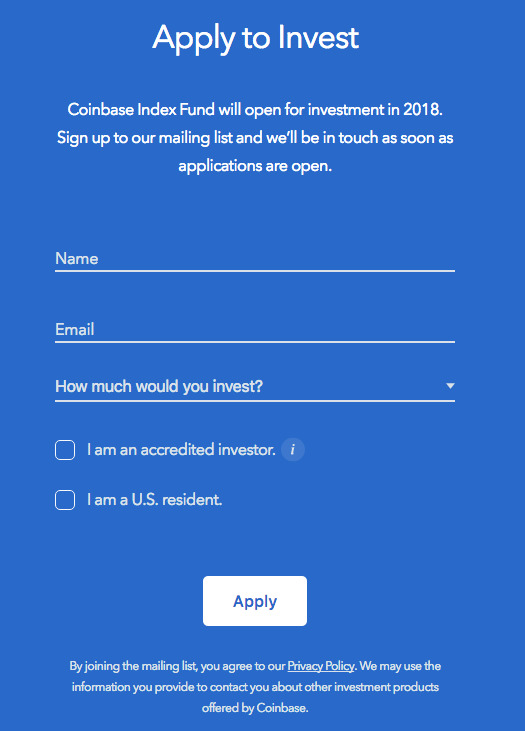 Coinbase product manager Reuben Bramanathan told Business Insider in a phone interview that the product reflects the growing demand on the part of institutional investors and high-net-worth individuals looking to dive into the market for digital coins, which stands at about $US500 billion in value.